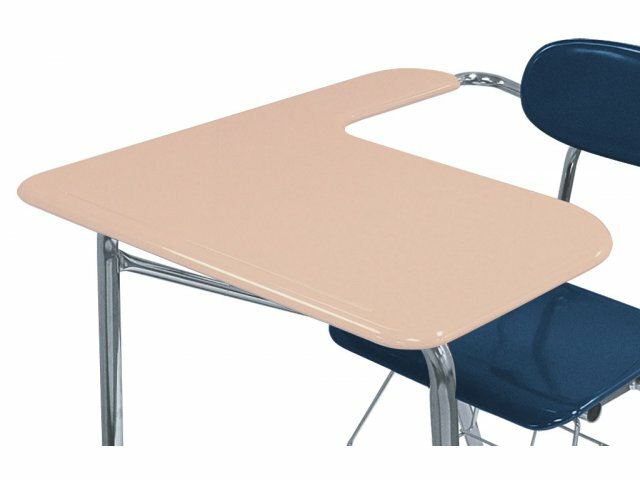 Jumbo-Topped WoodStone combo desks are a great choice for your high-school classrooms. 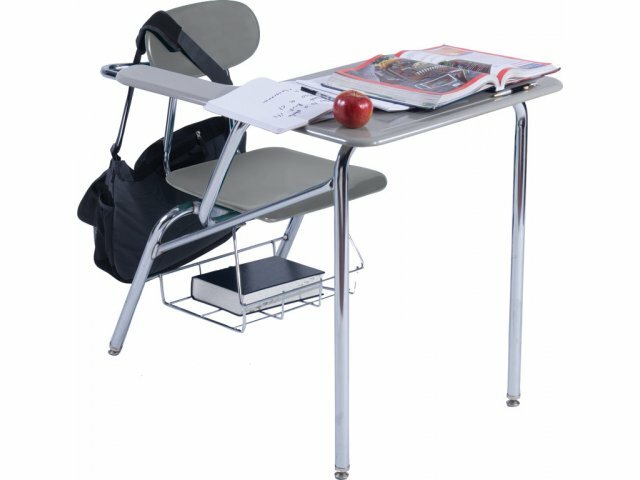 Lightweight WoodStone desks can be easily rearranged without putting a strain on backs. Their tough, scratch- and stain-resistant tops will maintain an attractive appearance through years of frequent use. 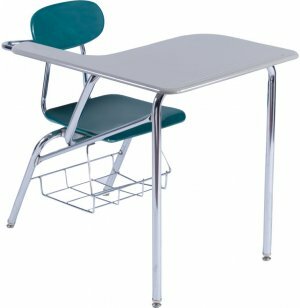 Academia's Jumbo-Top Student Combo Chair Desk is Best in Class! 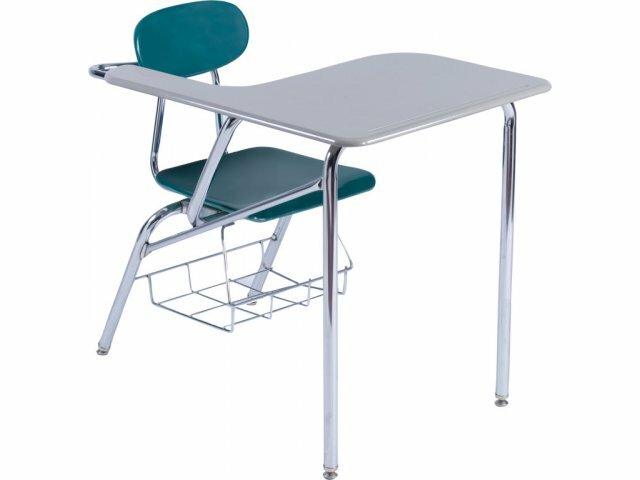 "Biggest and best" - that's the only way to describe this integrated classroom chair-desk unit! 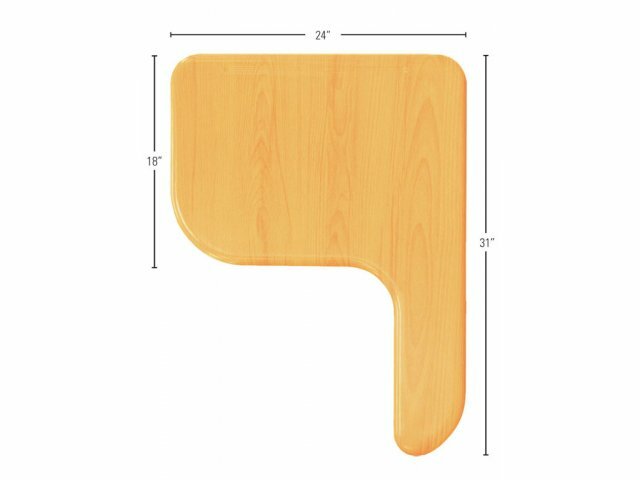 The oversized Hard-Plastic or WoodStone desktop on this chair desk provides more working room and more comfort too. 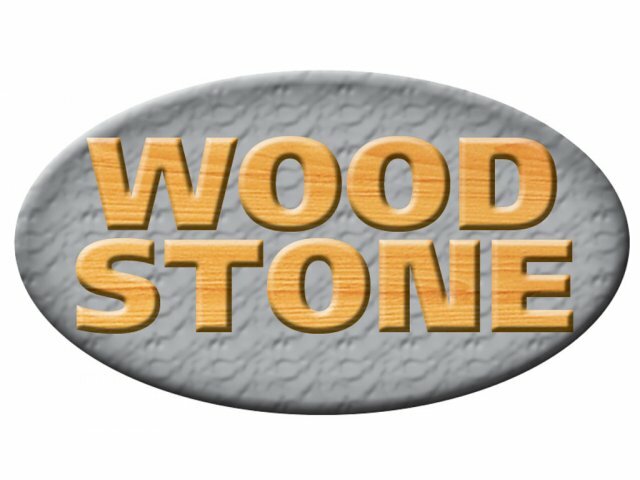 Unbeatable Value: WoodStone desktops offer the scratch and stain resistance of hard plastic, yet cost and weigh significantly less. 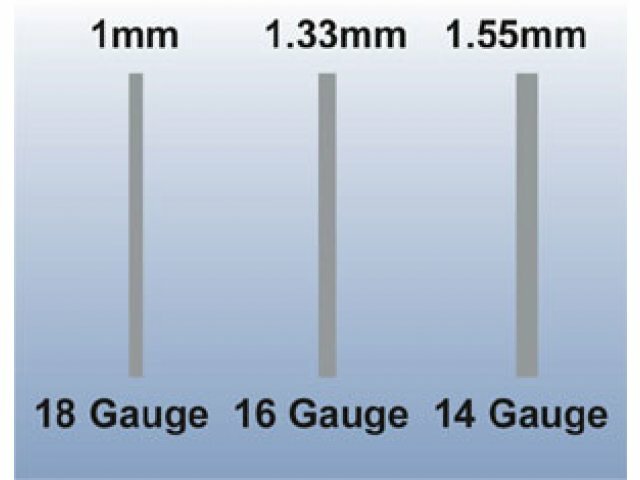 Convenient: Pencil groove keeps pens, pencils and highlighters within reach. 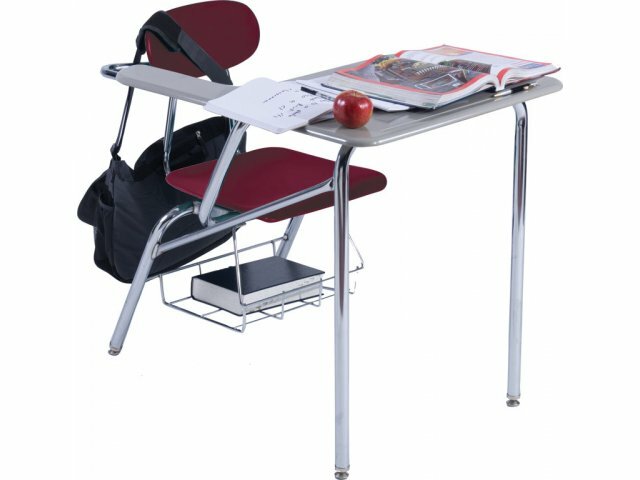 Extra Large: Jumbo tops and 18" seats make these desks suitable for higher grades. Spacious Desktop: The tablet-arm's work surface is over 400 square inches, providing more comfort and working room than standard tablet-arm desks. 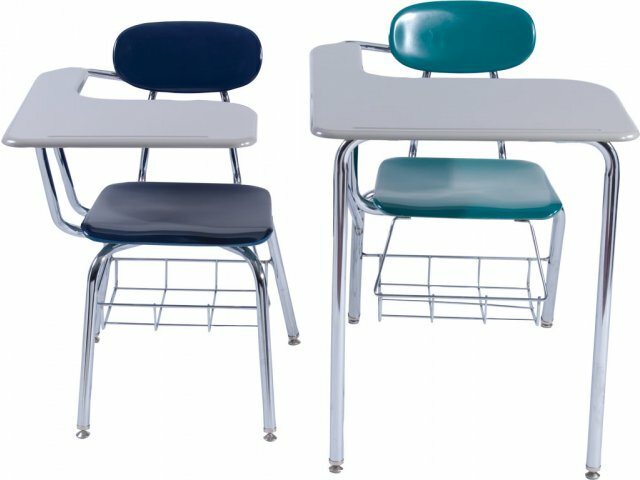 Comfortable: Integrated armrest allows students to handle any workload in comfort. 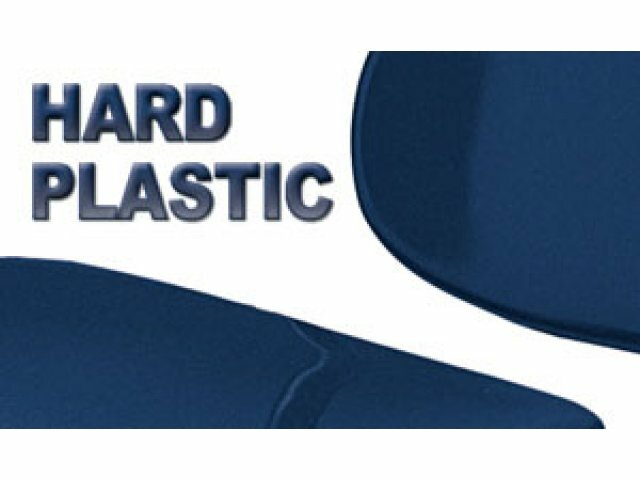 Durable Chair: Solid 5/8"-thick hard-plastic seats and backs are dent and scratch resistant. Choice of Colors: Available in a selection of vibrant chair colors complemented by a chrome-plated frame. 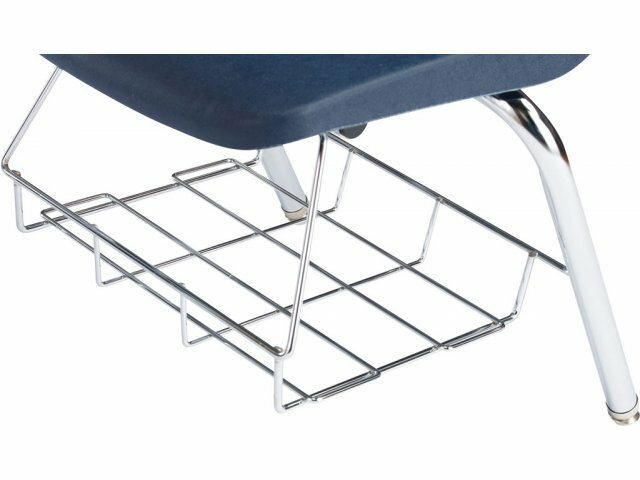 Accessible Storage: Wire under-seat book-basket is a great place for students to put notebooks and any other classroom materials.